I think when the tech works, we shouldn't necessarily try to develop these modules ourselves. Main focus should be on promoting the possiblity to business stakeholders, who can come up with their own ideas. Maybe to replace existing loyalty systems for companies? Arimand, cau and CCRevolution like this. True! when the tech is out and potential stakeholders more hear about the security and scalability of platform they will take over. I'm not entirely sure of what you mean by 3rd party modules. Components of Xtrabytes that we should give hooks into for other developers to entice them onboard? Are there any examples? Take a look at this for 3rd party modules ideas. Hi, is it possible to create a file network like torrent, using a kind of x-vault tech? When the overlay network is safe as a VPN connection and the service provider wants it anonymous, so it's possible that nobody can check which user provides any kind of data to the network?? Yankee Ruin X likes this. 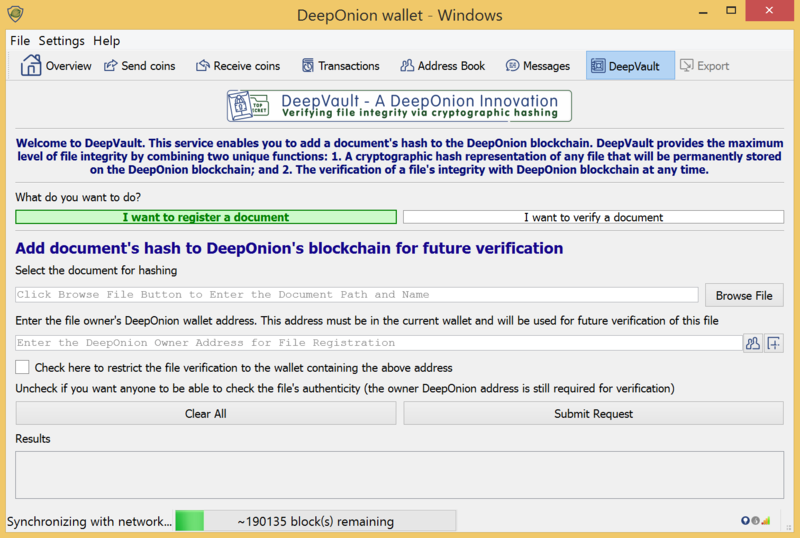 The DeepOnion team is currently developing a DeepVault technology - providing secure data downloads in the TOR network. 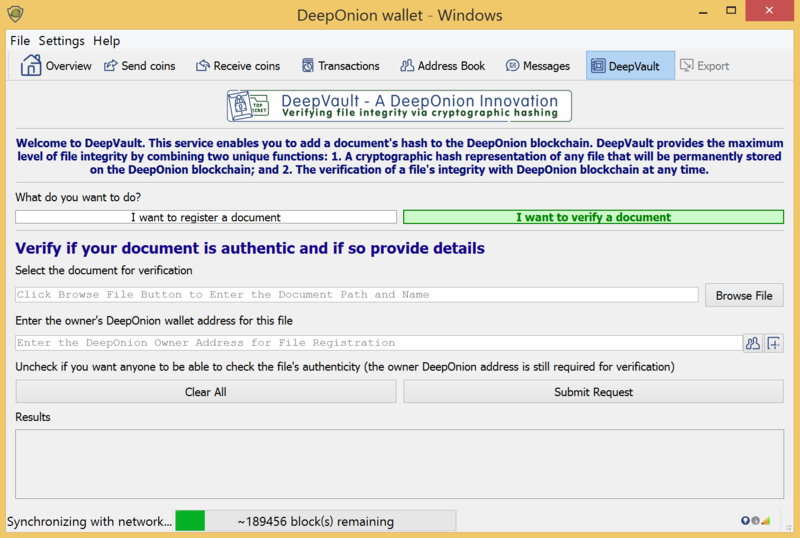 I had a quick view into the DeepOnion wallet. Anyone have more info on the interpolarity module that Borz was talking about? A growing trend in the masternode ecosystem is that MNs which belong to high-cap coins eventually become too expensive to actually be purchasable. Some coins, like Divi and now Crown try to address this by having tiers of node hosting. However, this approach cannot scale to fit any situation. Given that we all likely think of XBY as one that can potentially reach the moon, it only makes sense to do the same. Even the lowest tier Static nodes will be several thousand dollars from simply retouching our all-time high of ~0.03 USD. An Owner of a Static node can at any time register their Static node using a contract. Doing this disables their Static Node, and releases their held currencies. Can exist for a set time in blocks, seconds, minutes, days, or months. A pay period can occur in blocks, seconds, minutes, days or months. Upon sending resources (XBY, XFUEL, or any future others) to the contract, those resources become locked. Shixy, molten and Yankee Ruin X like this. 3rd party module should be heavily tested and reviewed. Following the Coinpouch failure with XVG, whatever you do, check and check again the security to avoid breaches. For those who don't know, XVG has suffered a 1 million $ steal this month, following a 3rd party Node failure. Some sort of marketplace would be good, and something to do with gaming as well (most games have some sort of in-game currency/transactions). I'm not sure how these things would be implemented, but I suppose these 3rd party modules are the area where we give people a reason to use this platform over all others. On a side note, my wife works in medical records, I could speak to her about how that might work as a module. This would be great. Because with XBY price rising and rising owning a node in the future will be extremly expensive. I posted in Core Module section but i'm not sure it posted. But I was saying the more I learn about how RIFD technology is being used by big business as a logistics solution and marrying it with the blockchain I thought its a great fit as a Core Module. projects like Ve Chain are involved. So how about X-Track? How about some sort of language translation service? Users can pay and be paid to translate. Of course a ranking/feedback system would be a must. Xtrabytes kitties would be a great idea. People would see how fast and efficent this technology can work. I have thought of something similar, my idea was simply adding a unique key to each passive id when an item is created by a manufacturer. Say a Rolex, a hand held bar scanner read that code relayed it to the module built on xtrabytes that verified the products origins and authenticity. No more knock offs on high end goods! Passive rfids last for 25 years + it could be used for hand bags, wine, watches, even electronics. Would be a big seller! I just read about the NEO initiative to create a wifi/data sharing platform. I think this is an excellent idea and something we too should look into. The ability to tap into other user's wifi etc. through tethering mobiles or whatever, especially while traveling, would be pretty amazing I think.